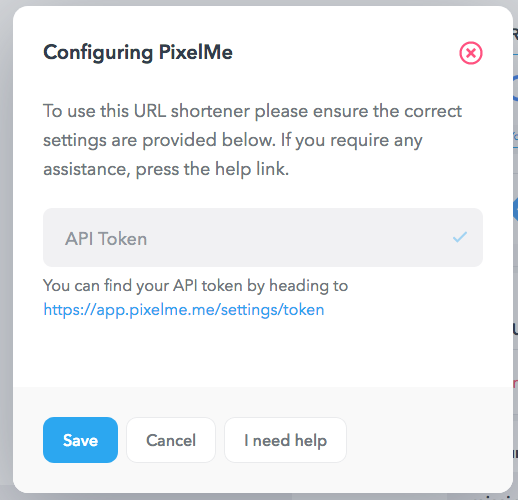 If you are subscribed to the Business or Team plan, it is possible to link your PixelMe account and use it as the default shortener when creating your campaigns. Paste in your API and you will see a list of your Pixels and domains in the drop-downs. Finally, click the "Save" button at the bottom of the Campaign settings page to preserve your changes. Any campaign you create from this moment on will get shortened using PixelMe. Any campaign created before the setting change will not be affected and should be regenerated in order to apply the new link shortener. If you encounter any difficulties using PixelMe, do not hesitate to contact our customer support.